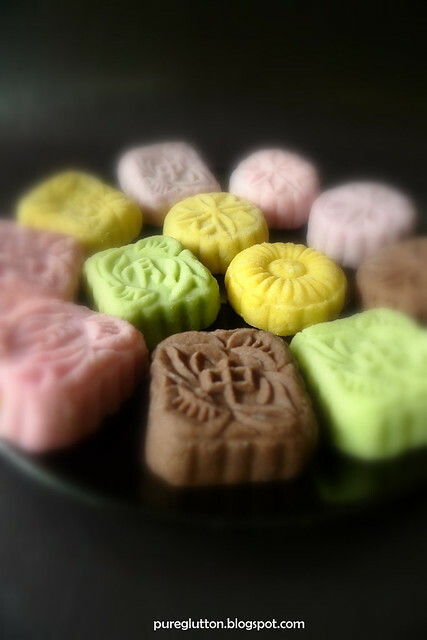 Happy Mid Autumn Festival! Moonies Galore! Tomorrow is the 15th day of the 8th month, according to the Chinese lunar calendar and that’s when the Chinese (and probably also all other races here in Malaysia – we are 1Malaysia, right!) 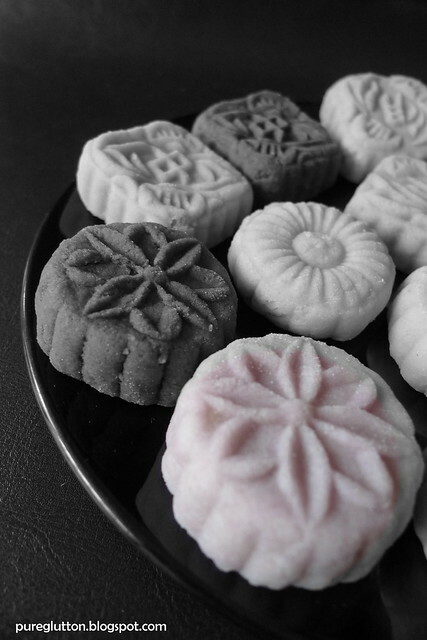 celebrate the Mid Autumn Festival. It originated from farmers, back more than 3,000 years ago, celebrating the end of their summer harvest and it seems on this date, the summer moon is at its roundest, fullest and brightest. 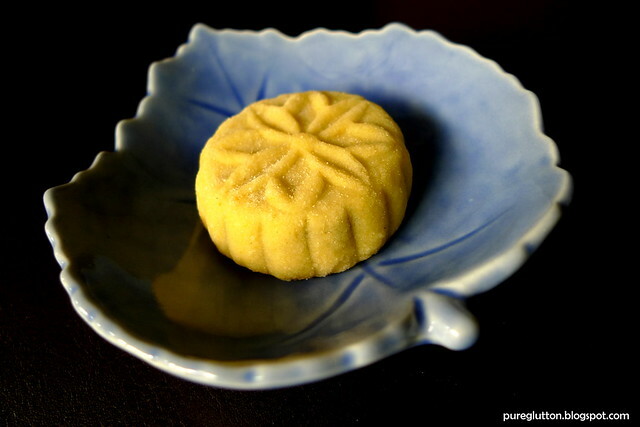 Traditional foods for this celebration are of course, the mooncakes (how come we have square mooncakes?!) 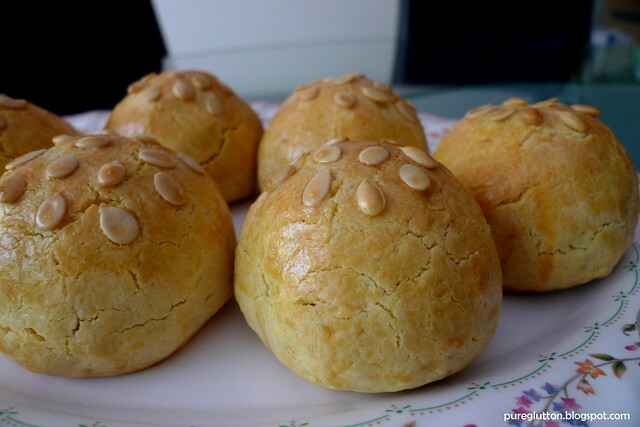 and pomeloes. Of course, as in all Chinese celebrations, there are many legends and myths associated with the Mid Autumn Festival, aka Moon Festival aka Lantern Festival. Anyway, continuing from my previous post, I did say I was going to experiment and try to improve on my 1st attempt at making the mini moonies. Well, experiment I certainly did, last weekend! 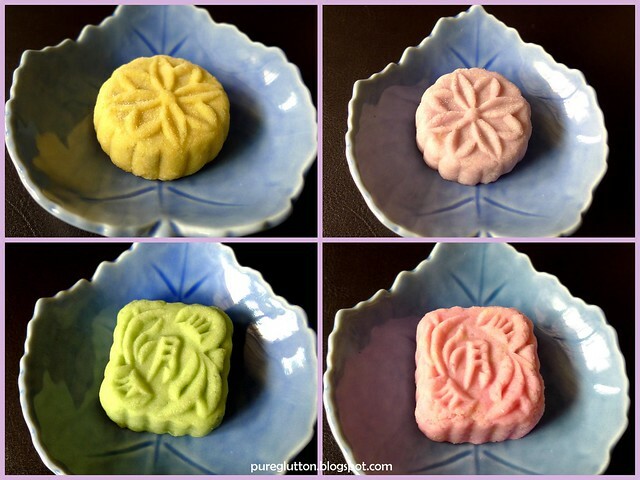 I tried to improvise on the traditional basic recipe for Ping Pei Mooncakes and I’m glad to say the results were … well, better! I got this purplish colour from… what else, but the ever-popular purple sweet potatoes! I know that looked kinda pinkish… but it’s not, it’s purple! The pink one looks like this… the natural colouring from beetroot juice! 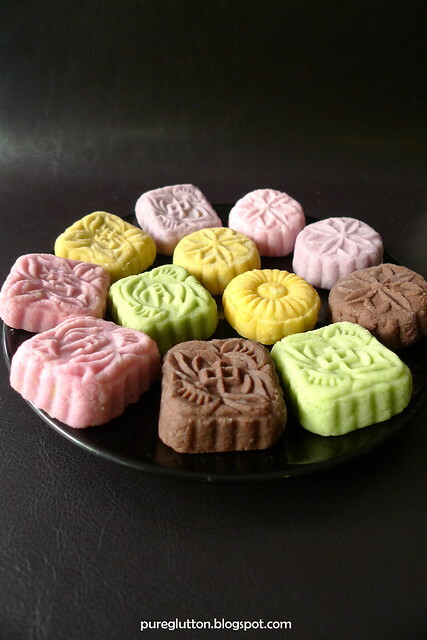 I was advised by GFAD to get the plunger moulds as they will yield mooncakes with very sharp pattern lines. 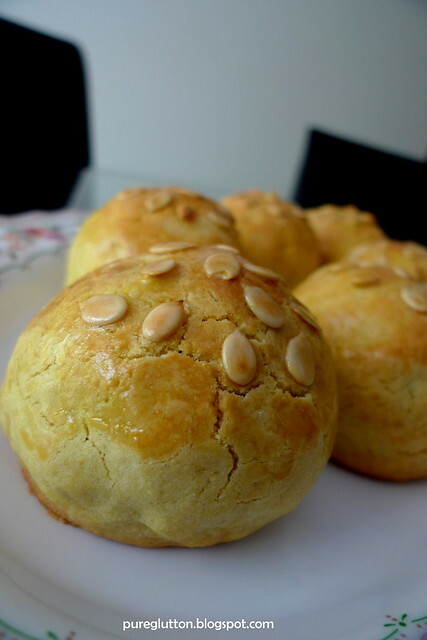 However, I am soooo late in making these moonies (like, in the final week before the festival!) that when I went to a few shops to hunt for the plungers, I got the same reply from the shopkeepers: “Aiyorrr… now only you want to buy ahh? 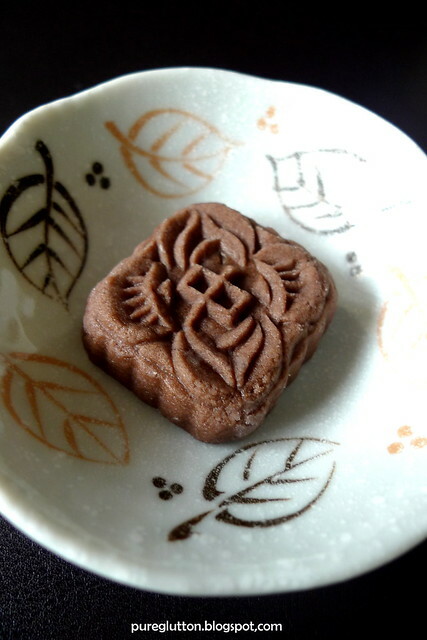 Long time also sold out oredi!” So, finally in one obscure shop I managed to get this ONE plunger mould… but then the pattern hardly looks like a mooncake, does it?! 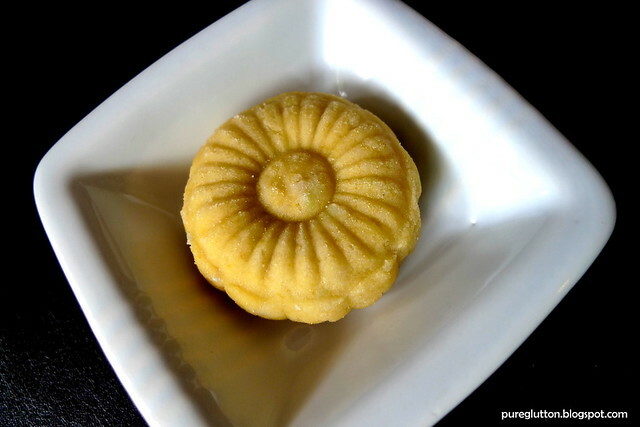 Hehe, it looks more like a cookie than anything else! 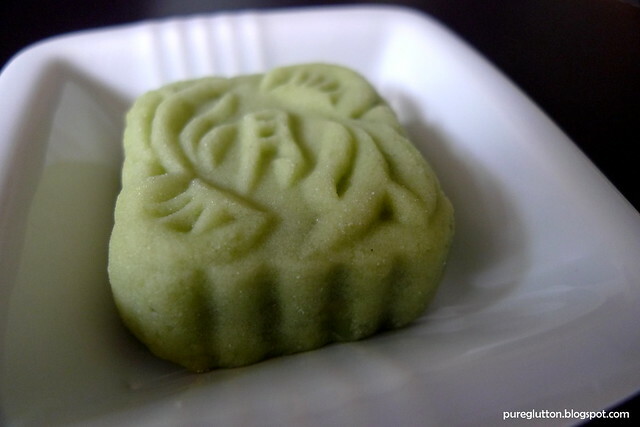 … flavoured and coloured from the juice of many blended pandan leaves! So what kinda fillings are inside them? Well, it ranged from chocolate pistachio (see those green chopped pistachios? ), to redbean + cranberries (those red bits in the yellow moonie), to lotus rum raisin (in the purple moonie) and of course, plain pandan for the green ones. And all have melon seeds – I love melon seeds! 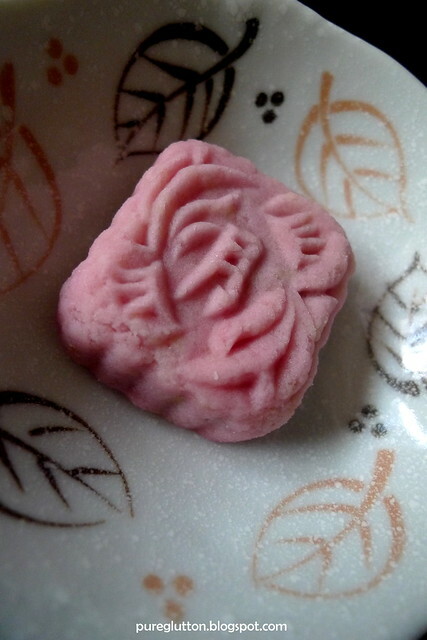 The thing with pingpei moonies is that you have to cut them when they are really cold (and they warm up very fast in room temperature!) so that you can get clean lines. Well, you can see that I didn’t really do that, judging from the clumsy cut lines above, hahaha! So… I ended up with quite a number of these moonies. I packed them up in boxes and gave them away! These were pretty easy to make, actually! And they are much bigger than the mini moonies, of course… so in no time at all the rest of the ingredients were duly used up! 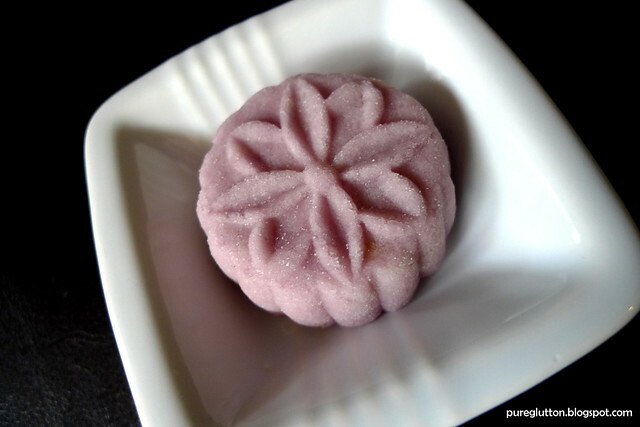 I incorporated these into the Shanghai Mooncakes…. 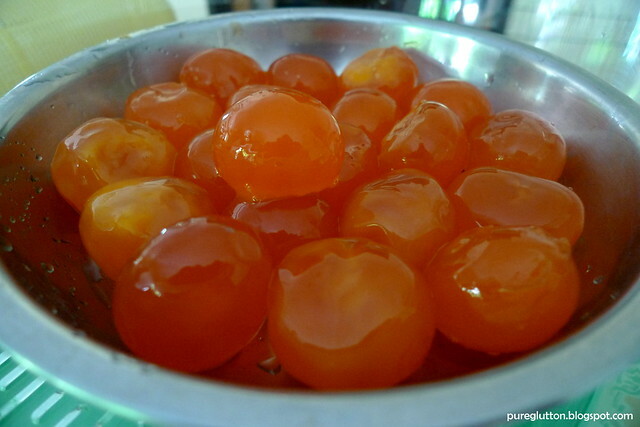 glorious globes of bright orangey salted eggyolks! I packed them up in boxes and they looked almost-professional, hehe! 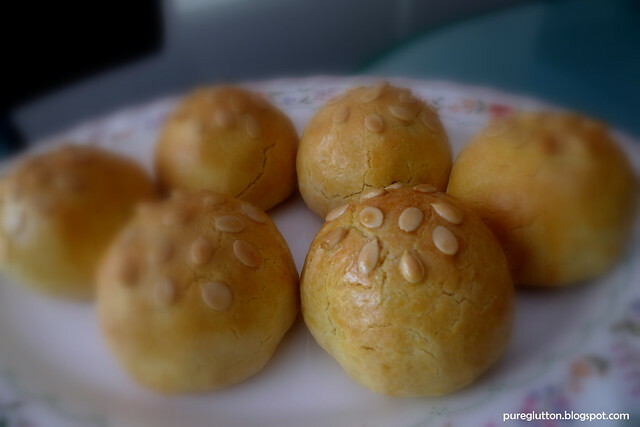 Oh… I almost forgot, I attempted making the “Gong Zhai Peng” or Moon Festival Cutey Biscuits as Babe in the City_KL calls them! The recipe is also from Babe – thanks Babe! I only had the fish mould, no piggy or any other animal. Well, fish is good, fish brings prosperity, so fish is fine with me… until I learn how to mould those piggy heads free-hand from Babe! I think if I tried doing that, I’d probably end up with some unrecognizable alien-looking creature nobody has ever seen. So, OK, I will stick to my cutey fishes, for now. So, on that cutey note, I wish all of you a HAPPY MID AUTUMN FESTIVAL! WOWie, this is really moonie galore. 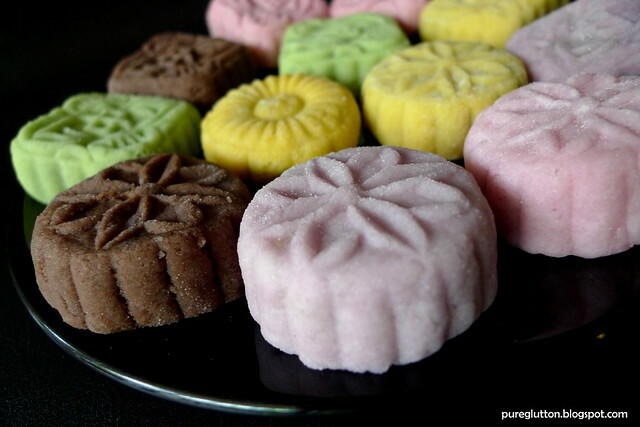 Happy "siong yuet" with your family! I love all the festivals here in Asia and trying new foods – thanks for the excellent information! lurve the pics….especially those with the dark background! well done, pureglutton. and happy mid autumn festival! they looked "almost" professional? they look TOTALLY professional lah! 😀 i like the egg yolk lotus rum raisin one! 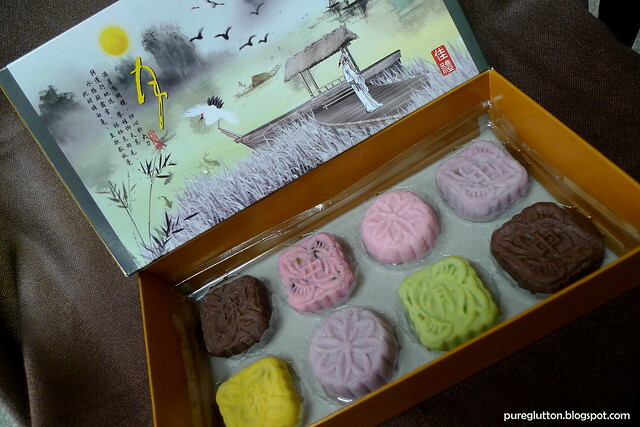 wow got such a pro packaging too, i might have thought u b running a factory line for mooncakes! Sean: Aaww.. u r too kind 😀 Yes, somehow i knew you'd like the RUM raisin one, hehe! Joe: Thankiu Thankiu – i guess the pro packaging from the shop helps a lot, hehe! Really makes me hungry! Those moonies are just too cute to eat. 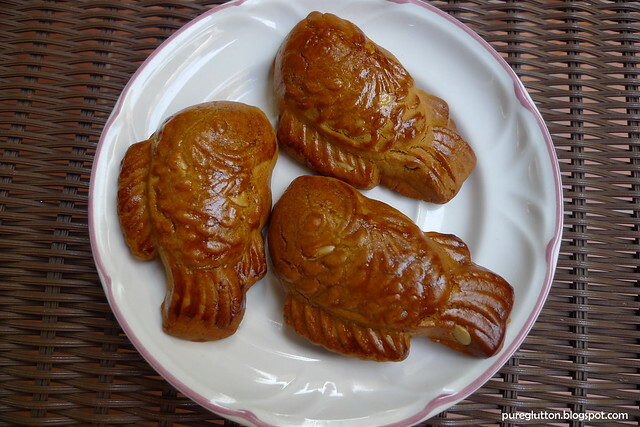 I would prefer the one with simple red bean paste flavor and the fish biscuits they're all cute and so much appetizing. Such pretty moonies! Your lucky friends and neighbours. 🙂 Yes, pls do get the moulds earlier next year! 😀 If you can't find, you could order from Singapore. I know a couple of people who sell them and can send them over to KL. I am so malas to make any more moonies. Have to make paste myself. 😛 I just habis making the mixed nuts filling, which is easy to find and do. How to make the chocolate filling ar? 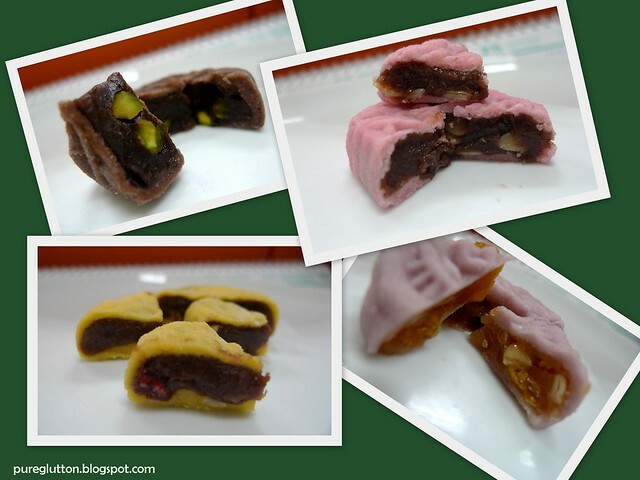 Mage: Thanks for visiting :-)) I like redbean paste too. gfad: Faster give me the contacts of the moulds supplier! Oh yeah, lots of nuts available there hoh, and very cheap too! I didn't make the choc filling – i got it from the shop, hehe! I made the skin chocolatey (added choc powder to the dough). 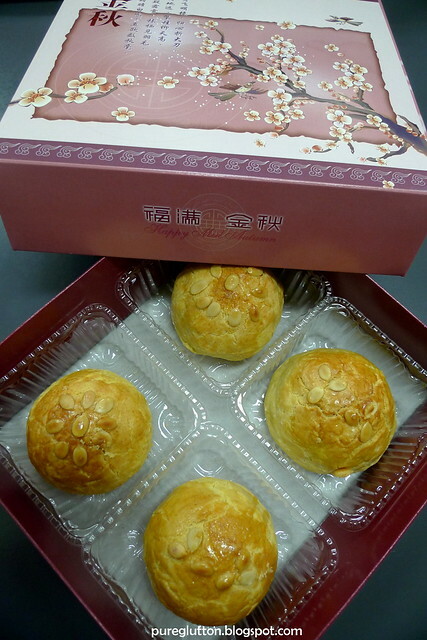 Thanks for the mooncakes. 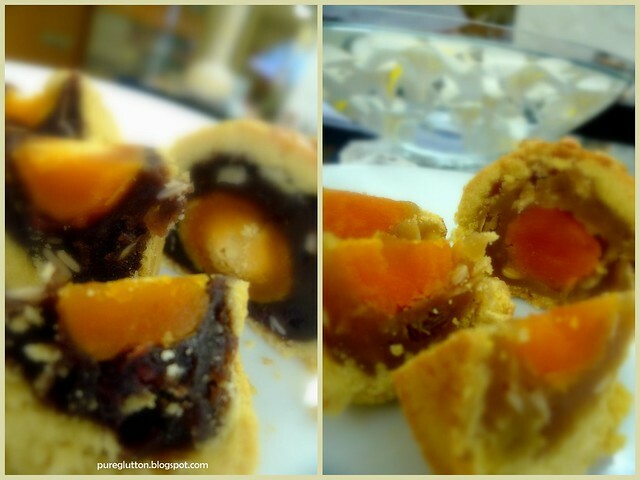 Loved the crumbly Shanghai mooncake filled with so much yolk! Also the chocolate ones! So pretty the ping pei's! Oh gosh I missed so much when I was in Singapore!